If you are a surfer, this info about food that sciëntists & diëtists shared, might be interesting for you! Our bodies need energy to perform during the day. We all know that when we practice physical activities, there will be a higher demand of energy, then when you doing notting during your day. Notting different for all surfers out there, even if you are a surf beginner. I was always wondering if i needed to eat something before I did go into the water, and what meals would make me peforming like a great surfer! So I jumped into the world of foodies, diets, and Top athletes, to find out what their secrets are. It is good to know what you should eat and drink before, during and after a surf session, to get the right energy for your body! Surfing is an intense workout. Paddling your board works your entire body, from your shoulders to your core to your legs, and requires good cardiovascular conditioning. Like any athlete, if you want to perform your best, you need to eat right. You don’t need to be a total controlfreak and eat the right things all the time. As soon as you understand how food is working in your body you can apply this Food knowledge into your daily lifestyle. 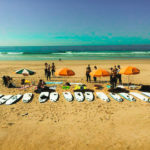 When you are joining our surflessons or a surf guiding (if you already know how to surf), and especially if you will join a complete surfweek, a good meal plan for surfers is so important! A mealplan needs a healthy mix of carbs, protein and fat. As the primary source of fuel for paddling, most of your calories should come from healthy carbs such as whole-grain breads and cereals, fruit, vegetables and milk. Protein is also important to maintain and repair hard-working muscles and should provide 10 percent to 12 percent of your calorie needs. 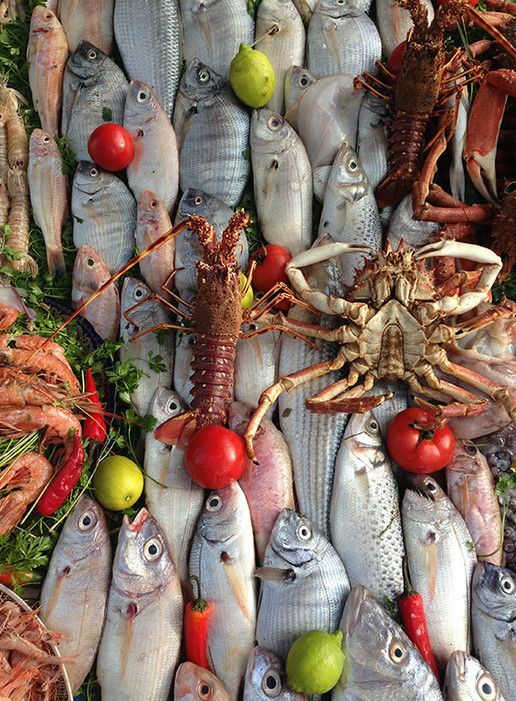 Healthy sources include meat, fish, nuts and beans. You may want to look good in your swimwear, but don’t skimp on the fat! Forget everything you’ve always been told about high-fat foods making you put on weight. Recent scientific researches, says that eating fat actually helps you to get in shape! Getting less than 15 percent of your calories from fat can hamper your surfing performance. Healthy fats include oils, avocados, nuts and seeds. 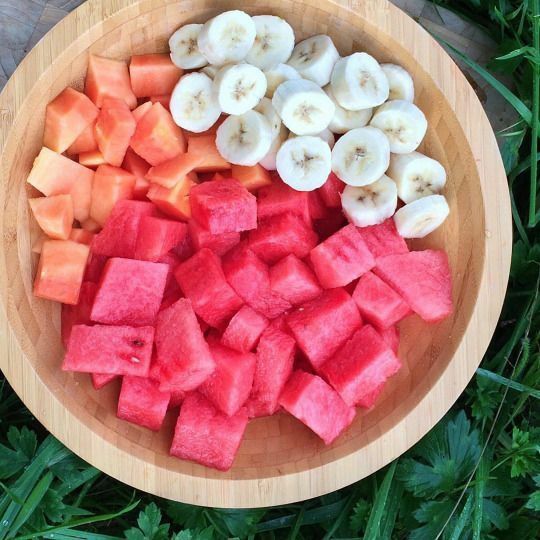 Start with healthy snacks during your day! Experts believe you should adapt a meal or snack to the level of physical effort you are about to undertake. So, if that last meal you ate was three hours ago, it’s better to boost your body with something that will support paddling, standing up and carving. Avoid hot or too-cold liquids and snacks. Bananas, nuts and water are excellent to fight cramps! 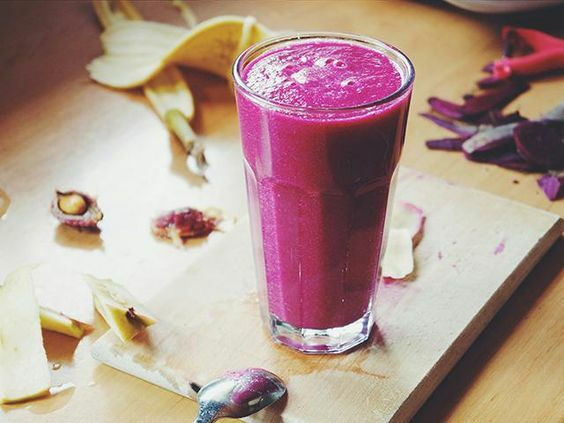 In our surfhotel we serve delicious surf smoothies with bananas and beetroot to give you the power that your body needs to perform in the waves. Sports dietitians say: surfers should recover their bodies after surfing by choosing food rich in carbohydrates, protein and salt. If you’ve just been surfing for three hours you might have used 30-60 grams of carbohydrates per hour between the needs of your brain and body, so it’s time to refuel your engine! Drink also enough water after your surfsession. The lean protein and carbohydrates in meat or beans will fill you up without feeling overly bloated. Add some veggies in olive oil to keep your ticker in tip top shape. If you like to catch the early-morning waves, we advice you to eat one to three hours before you leave home. Your early morning meal should be low in fat and fiber and high in carbs to help prevent gastrointestinal distress and might include a container of (low-fat) yogurt with a banana, and more fruits, or Moroccan crêpes, topped with jam and lots of fruit. If you surf a little later in the day, eat a high-carb breakfast such as a bowl of oatmeal with raisins and chopped walnuts with a cup of (low-fat) yogurt and a glass of orange juice. At lunch, continue to focus on the carbs. If you plan on hitting the waves soon, eat a light lunch such as a cup of rice, mixed with shrimp and 1/2 cup of cooked veggies with a sprinkling delicious cheese and nuts. 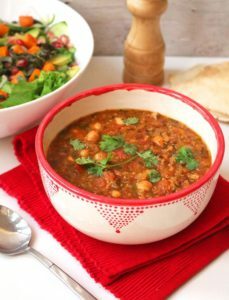 Or try the traditional Moroccan soup: Harira! If you’re done for the day or plan on surfing before the sun sets, fuel up with a advocado sandwich on a whole-wheat bun with lettuce and tomatoes, a side salad with dressing, fresh fruits and a glass of milk. You’ll need to eat a high-carb + vegatables dinner, to refuel your muscles for your next day’s training. A healthy dinner meal for surfers might include broiled salmon with roasted red potatoes tossed with olive oil and garlic, steamed vegetables (in tajines), a whole-grain roll and a glass of milk. Or try a whole-wheat tortilla stuffed with black beans, rice and cheese, served with a salad of corn on the cob and a glass of orange juice. – Avoid sugary foods. Sugar is turend into glucose very quickly, Which give you an energy Spike but will leave you with a hungry feeling Soon. 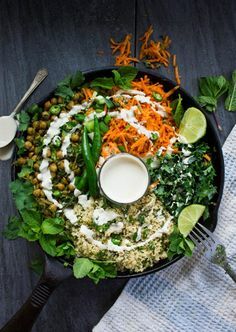 – Eat green vegetables rather than starchy foods during your evening meal. You’re likely to be less active later so you won’t need quick-release energy, but rather the slower release energy you get from these complex carbs. – Moroccan food is simply delicious – perfect for our vegetarians and meat-eaters alike. The breads here are baked fresh daily, and the dinners are slow, multi-course relaxing affairs with candlelight and magic. The meals are perfectly compiled on a day full of surfing, sporting and yoga. Breakfasts on our rooftop, with Moroccan crêpes and fresh fruit salads, surfsmoothies to give a power boost, beach lunches with avocado sandwiches or pasta salads, and dinners such as Steamed vegetables in tajines and fresh fish, salads with corn and tomatoes, and our surprise desserts! If you don’t eat this or that – no worries – we are happy to accommodate any of your food preferences.